Road lights and electrical connections between car and caravan. Check your tyre pressures before every trip and periodically give them a general visual inspection – including the spare. It seems counter intuitive but the less a tyre is used the faster it ages, hence we strongly recommend you change tyres no later than seven years from the date of manufacture. Inspect wheel rims for kerbing damage and corrosion, which can lead to progressive deflation. Wheel nut tightness (Re-check after 100 kilometres following a servicing or wheel removal and before every trip). Keep a good torque wrench for this. Grease the coupling head, if it does not have a stabiliser hitch. Check the condition of the breakaway cable and clip. Battery charge state (use an inexpensive multi-meter) and charge with a battery charger if necessary. Visually check the condition of flexible gas hoses and regulator connections. Check the flame colour from cooker and gas appliances. The flame should stay blue. If yellow flames appear, consult Caboolture Caravan Repairs. Check your cable and socket to connect your vehicle. Make sure the connection is tight and there are no nicks or cuts in the cable. Clean contacts if and as necessary. Check all water hoses. They often fracture or perish and need replacing. Check tightness of connections. Check all upper and lower level ventelation to ensure they are clear of items carried in lockers etc. 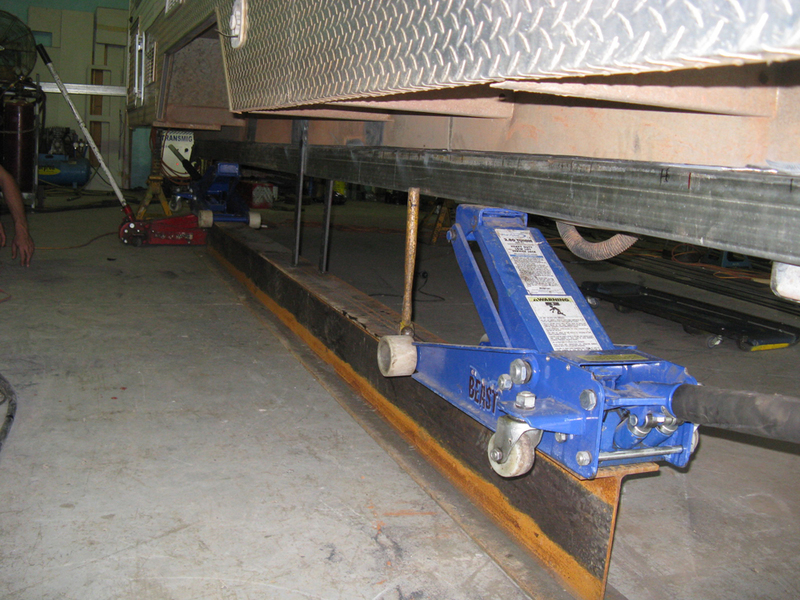 Check any stabiliser friction pads, if a stabiliser hitch head is fitted? If necessary, replace according to the maker’s instructions. If notice any part of your vehicle stops working during the year, try to attend to it as soon as possible. At least check that further problems are not being caused, such as with a water leak. If it is an electrical item, check and replace the appropriate fuse, but if it blows again immediately then have the electrical system checked over professionally. If a gas leak develops (you should smell it) evacuate the caravan, switch off the valve at the gas cylinder, keep clear and seek help. We strongly recommended you do not work on any of the following items unless you have the appropriate qualification. In many cases if you are not qualified you will be breaking the law if your attempt to tackle yourself. Any gas equipment or connections to gas appliances. Any work on chassis or brakes, other than minor, not involving dismantling. Damp checking – this needs good quality equipment and expert analysis. Simple DIY meters can be misleading. Warranty work – doing this yourself may invalidate any future claims. Repairs to the exterior bodywork. Removal and refitting of brake drum – this usually features a one-shot nut that cannot be reused and requires a torque wrench with a high working range to fit. Please with maintenance, only try doing things that are within your ability and you have suitable instructions to follow. 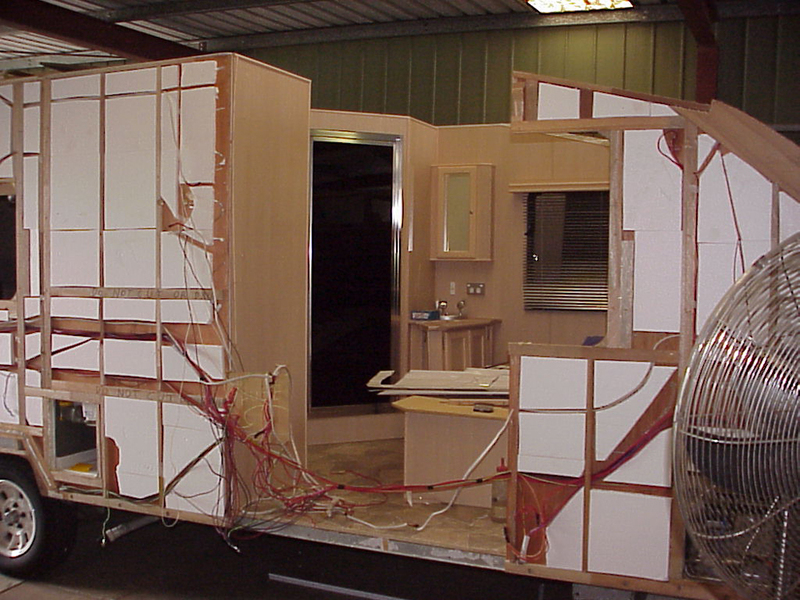 Never work under a caravan or motorhome supported only by a jack. 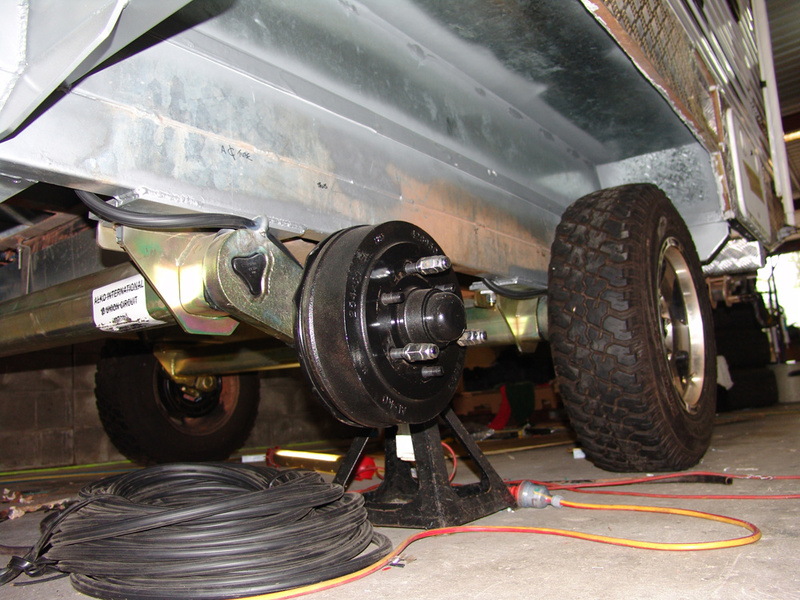 Use proper axle stands if necessary and try to ensure someone else is always nearby if you are under the vehicle doing a check. 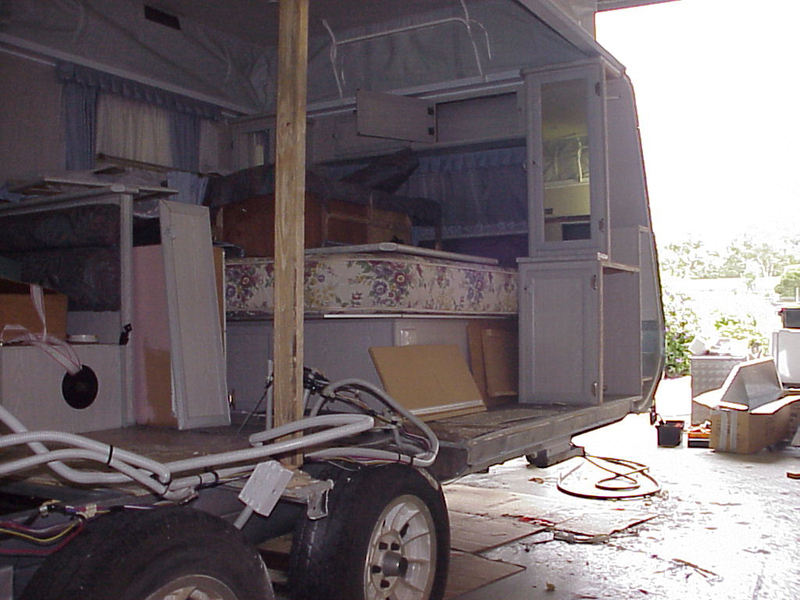 Also note that for most modern caravans it is not permitted to drill the chassis. Open all windows to air the vehicle. Switch on the gas supply and make sure there is no gas smells. Turn on main 12V switch and check the battery voltage on the meter. A fully-charged battery will read 12.7V and if showing less than 12V it is best to charge it with a battery charger. For a caravan house battery, do not rely too much on the charging from the car when towing. Drain fresh water tanks and refill with fresh water. Check for leaks and mud wasp nests in breather lines. Make sure the filler cap is locked properly. Double check for water leaks. Make sure all 12V internal systems are working. Connect to the car via using the van pin plug coupling and ensure all road lights are operating correctly. Check road light lenses for water ingress, which can short out the lamp. Test CO, smoke and gas alarms. Check handbrake operation by applying and releasing. Check and adjust the tyres to the correct pressure and check for cracks or other deterioration. Use a torque wrench to check wheel nuts are tightened to the manufacturer’s recommended settings. Check the operation of the fridge and no mould is present. Check all vents are clear of obstruction such as leaves and debris. Close windows and lock for travel. Check protector shade locks are secure. Also, before connecting to 240V electricity supply, examine the cable, plugs and sockets to make sure they are not damaged and check the RCD test button works before switching on any device. If you have a cover or your vehicle is stored under cover, you may assume your vehicle is protected from water ingress and rot damage. Do not presume this is the case. 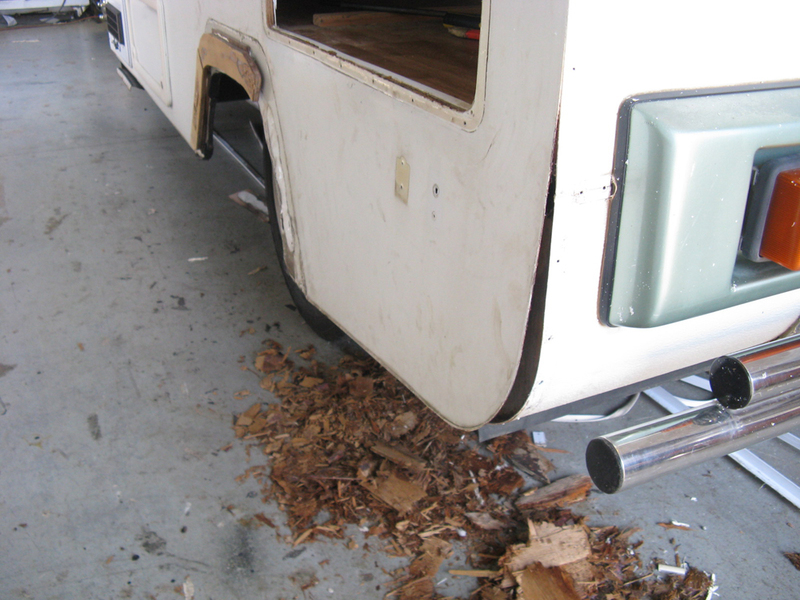 Rot is prevalent in many vehicles as construction is commonly timber frame, clad with light-weight aluminum sheeting. If your vehicle is stored in open weather water ingress is common. 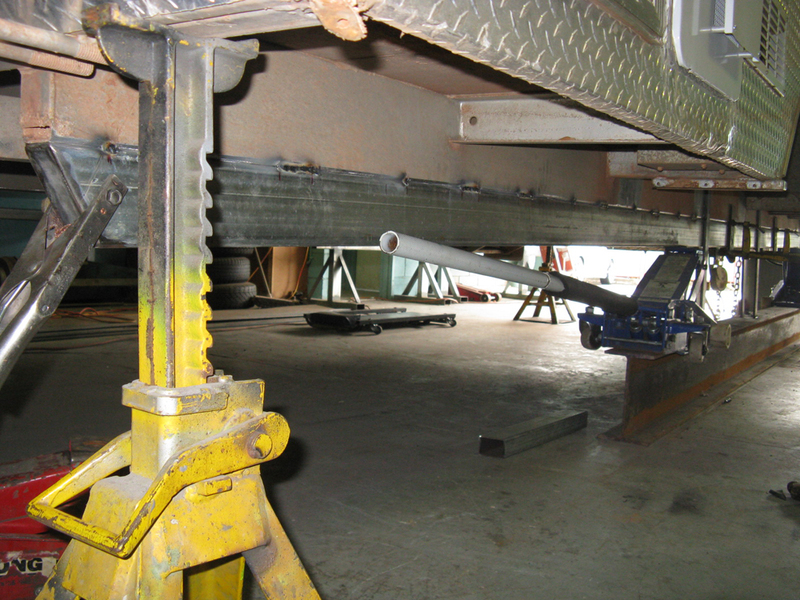 We have seen vehicles of less than 12 months old with frame rot. We recommend using a cover where ever possible to protect your asset. If in doubt, have a question, please ask, we are here to help and look after your caravan, motor home or camper trailer.